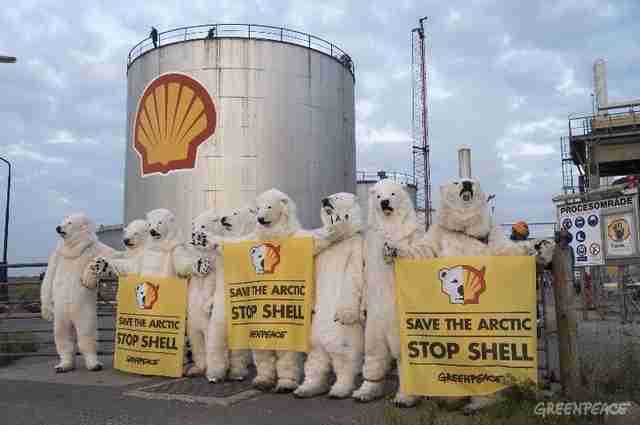 DON'T LET SHELL DRILL IN THE ARCTIC OCEAN! 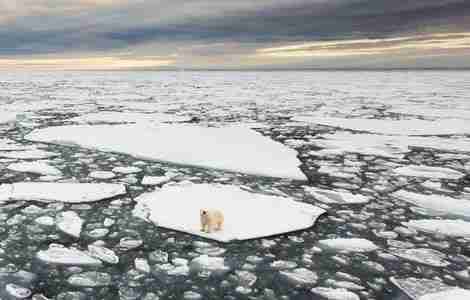 Go to petition→DON'T LET SHELL DRILL IN THE ARCTIC OCEAN! Shell is racing to sink its drills into the Arctic's Chukchi Sea this summer - and the Obama Administration appears ready to give them the green light. 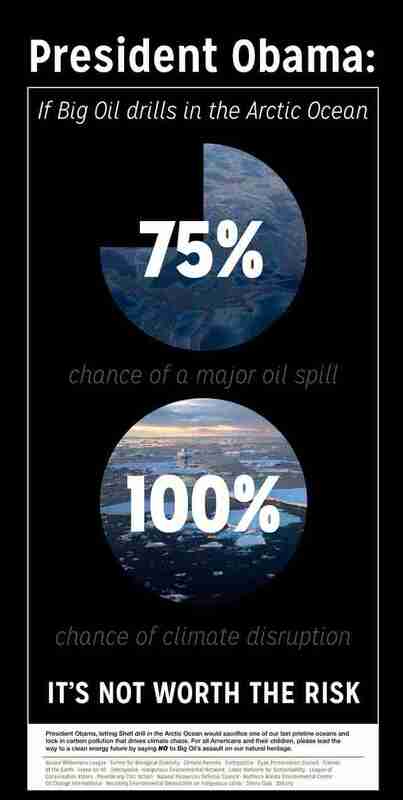 The Interior Department itself has already determined that there's a 75% chance of a major oil spill in the Arctic Ocean if oil development is allowed to move forward there. It's not worth the risk! Tell Secretary Jewell to protect our natural heritage, our climate and our communities by rejecting Shell's disastrous drilling plans. The Administration is inviting the public to comment on Shell's disastrous Arctic drilling plans until May 1. We need your help to mobilize a massive public outcry! Please tell Interior Secretary Sally Jewell to reject Shell's plans to drill for oil in the Chukchi Sea. The Chukchi Sea is home to more than half of America's polar bears and an astonishing array of whales, walruses, seals and other wildlife. 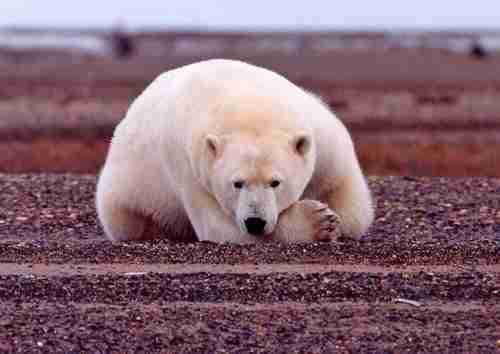 These animals are already suffering terribly because of climate change. The last thing they need is a catastrophic oil spill. Shell's aggressive attempts to drill in these fragile waters in 2012 produced an alarming series of accidents, failures and close calls. In one incident, its enormous 260-foot drill rig carrying 150,000 gallons of diesel fuel infamously ran aground near wildlife-rich Kodiak Island, proving that remote and rugged Alaskan waters are no place for drilling. And this time would likely be no different. 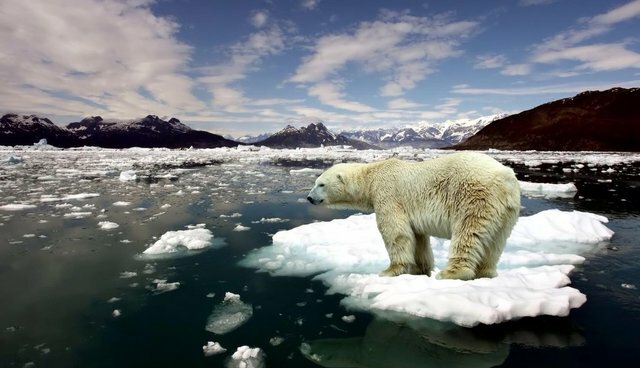 The Interior Department itself predicts a 75% chance of a major oil spill in the Arctic Ocean if oil development moves forward there. And the harsh conditions and extreme remoteness of the Arctic would make such an oil spill all but impossible to clean up. Secretary Jewell has the authority to stop Shell in its tracks. But she's unlikely to do that unless thousands of us make our voices heard right away. Allowing Shell to drill in the Arctic also flies in the face of President Obama's commitment to combat climate change and protect our last wild places. That's why this week we're joining with our partners to run a full-page ad in USA Today calling on the President to stop all oil companies from plundering our Arctic natural heritage, leave fossil fuels in the ground and instead invest in an America powered by clean energy (see the ad here).